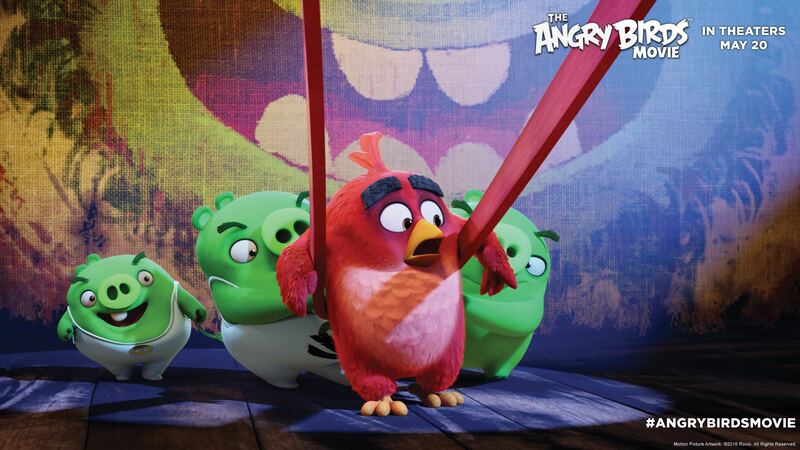 Have you ever wondered why The Angry Birds were so angry? This movie takes you through the story of The Angry Birds showcasing how the island of happy, flightless birds turned into angry slingshotting fowl looking for revenge. Red has always been an outcast being one of the most temperamental inhabitant on the Happy Island, but after getting sentenced to anger management he meets a group of friends who soon become his sidekicks, Chuck and Bomb. After a group of pigs mysteriously arrive on Happy Island – Red, Chuck & Bomb look deeper into their arrival, while the other happy birds are welcoming and partying with the pigs. 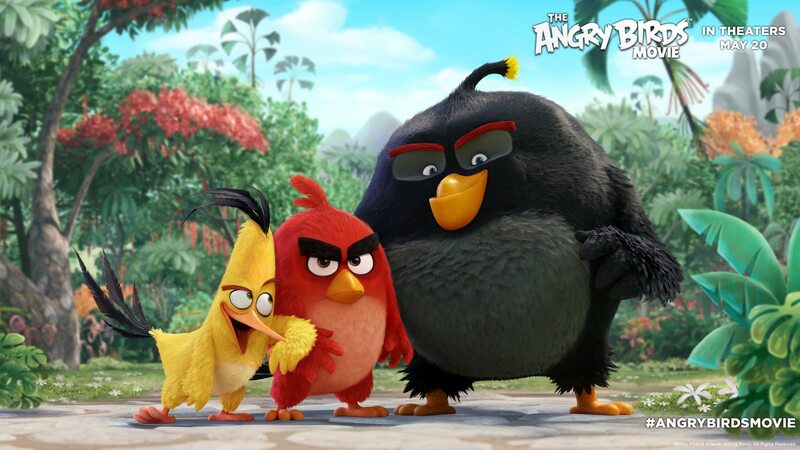 Red finds something suspicious, and the 3 angry birds set off to warn the group, and figure out a plan to save Happy Island and its inhabitants. The plot of this movie is very generic, and honestly not that surprising. However, some of the puns, and adult humour makes this movie bearable to sit through. The movie makes jokes about the latest gluten-free trend, a few bathroom jokes, and of course the typical sexual innuendo every family movie has that is sure to fly right over your child’s head. The movie did an excellent job transforming The Angry Birds into visually appealing 3D characters, with quirky personalities that fit their power abilities in the game. It is obvious this movie is geared towards the younger crowd, and the predictable plot line does not leave you at the edge of your seat, but it does capture the game well, and in that sense it was a win. Alongside the movie release, Rovio also came out with a new mobile game called ‘Action!’ based entirely on the plot of the movie. Explore the world of The Angry Birds Movie, and send the birds crashing through obstacles to save eggs and reunite the birds. The game is available on both the iTunes app store, as well as Google play. I did laugh a bit when I saw the VERY familiar description “It’s a game based on a movie, based on a game!” which was also the motto for Ratchet & Clank. Let’s just hope that all future gaming movies will not have this exact same description. Overall, the Angry Birds Movie wasn’t a total miss, but wasn’t the most entertaining movie out there. The fantastic soundtrack, and hilarious puns saved the movie and the ‘Action!’ game was an added bonus that was definitely not ignored. Stephanie is a Toronto based marketing director, and mixer streamer. She has a background in photography, and has her phone attached to her hand at all times, capturing her life on Instagram and Snapchat. Stephanie is a born geek starting her early years with Nintendo 64. She loves the gaming community, and spends her free time on social media, and attending conventions.